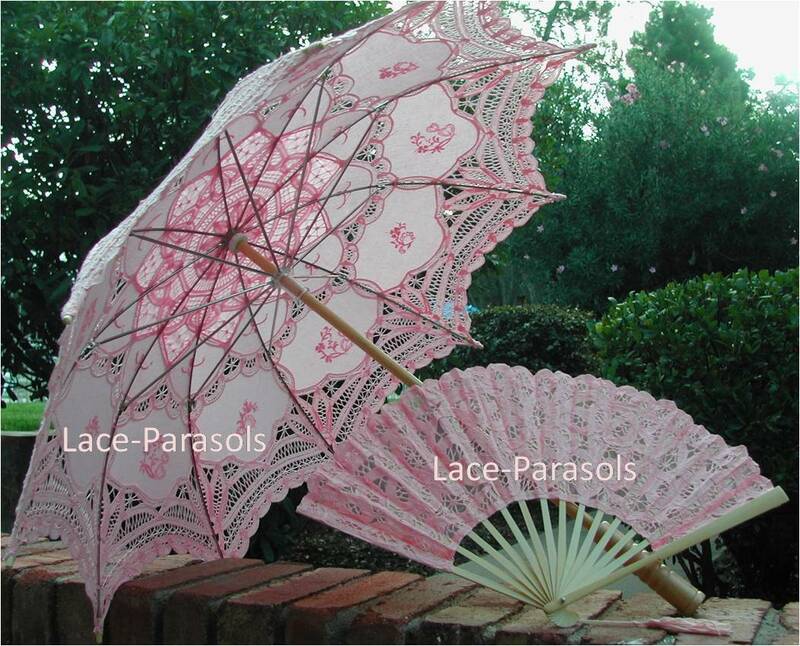 100% Cotton Battenburg Lace Umbrella/Sun Parasol. Parasol Size: 30" diameter, 26" length, 18" from one end of the fabric to the other when closed. Pastel pink color. Partially lined. Straight wooden Handle. Wooden Shaft in light natural wood color. Metal ribs. Matching fan is approx. 9" with tassel.